New Insights trainee life coaches are required to conduct extensive practice coaching as part of the requirements for their certification. They are required to find a number of volunteers to practice with and to help them we have put together this page to link them with members of the public who may wish to volunteer for coaching sessions. Am I eligible to post here? If neither of the above apply to you we will not approve your post. Is the coaching really free of charge? Yes, our trainees generally do not charge for practice coaching. However, depending on the circumstances, some may request a nominal fee to cover any costs they may incur. What can I expect as a volunteer client? Well, firstly, please bear in mind that these are trainee life coaches. They are neither qualified, nor experienced coaches. If you want or need an experienced and certified coach please visit our Life Coach Directory. If you're thinking of training with us and want to try out a session we recommend this approach. Secondly, coaching will be conducted in the trainee's personal capacity. Although the coach may use the New Insights Life Coaching System, New Insights is not in any way responsible for the quality of coaching you will receive. Thirdly, depending on your requirements and your negotiations with the trainee coach, you may volunteer for just the initial life evaluation and goal setting session(s) or a full transformative programme of 13-15 sessions. Coaching is likely to be conducted using a VOIP technology like Skype/Zoom, although this can be negotiated with the trainee coach. We do not guarantee that you will receive a response if you post on this page. It all depends on our trainees. Other than approving the posts made here, we do not monitor the page. Client: Joe Soap, Midrand, Gauteng. Trainee: Freda Bloggs, Knysna, Eastern Cape. Please share a little about yourself, why and what you are volunteering for or what you are offering, as well as how you can be contacted. Whatever you write here will appear on a Web page for others to see and respond/comment (New Insights will vet posts before publishing). New Insights will leave published posts for up to twelve months before deleting. Click the button and find the image you want on your computer. Select it, then click on the button to choose it and upload it. Here is a listing of current posts from trainee coaches and volunteer practice clients: Please click on the post title to read it, and any responding comments in full. I am a 40 year old white south african male who wants to make sense of the current climate in south africa. Hi I really need a life coach who will help me gain more self confidence and leadership skills. I am an aspiring life coach, seeking experience on life coaching. I would like to be a volunteer, as I want to venture into a career of being a Life coach. I would like help with personal development. I would like to be guided on issues affecting my career and personal life. I am at a cross road and need to make some life changing decisions. I am at a crossroads in my career and personal life and need some assistance. Client: Maria, Durbanville, Cape Town. Hi, I'm available for all 13 sessions. I can be contacted on 0729025783 or matlakalathomas@gmail.com. I need to be a coached on how to kick start career in Coaching as I have done most of the basics and even marketing but fails just to start. I need coaching on how to approach life. I'm 19 years old and I'm angry towards everyone. I'm going through a lot and blaming everyone. I need to find a career meant for me. I would like to receive free coaching. I am Siphokazi and I based in Somerset-West. I am looking for a life coach and would love to avail myself for free coaching. i really need life coach to improve my life and have no money to to pay for one. Require coaching to successfully deliver my work and study part time. I really want to be a life coach. Having seen what life coach is capable of doing in other people's lives I am really moved hence. I would like to voluteer to for a full program of 13 sessions with a trainee life coach. I am in the process of exploring career in coaching but I feel that I need to be coached as well before I embark on that journey. I need help with self-esteem, confidence and I don't know how to express my self or communicate with people properly. Hi I would like to have sessions where I can be able to build a career path from training, understand the methodology of Coaching. I need help with self-esteem, confidence, drive and motivation. Client: George Quartson, Randburg, Gauteng. I would like to volunteer and be a client to a trainee life coach. Trainee: Moira le Roux, Kalk Bay, Cape Town. Personal full 13 sessions please . I need to immigrate in a year ...have to over come some hurdles. Many . I have moved here from Durban, battling to form relationship and feeling depressed from it. I am at a crossroad in my life regarding work and life. I would like to request some guidance please. I'm volunteering to experiencing some free life coaching ? Client: Teboho Mokhethea, Krugersdorp, Gauteng. I need personal transformational coaching and career coaching. Hi, I would like to recieve life coaching and coping mechanisms as well as mentorship as an entrepreneur. I’m 51 and pretty burnt out . I’m at a major crossroad with work and life and would like to request some guidance from a volunteer . I am a volunteer client, happy to be coached by trainee over Skype or other platform. I am located outside Cape Town. Life coaching needed. I wan to be coached until i become successful. Email me at : eunice_ngz@hotmail.com I need to achieve my ultimate life goal. I am in need of a Life Coach, I want to be able to achieve all my set goals by the end of 2018. I need a life coach in personal growth. Client: Sherelene Van Wyk, Mitchell's Plain, Cape Town. Im willing to offer up my time in order for a trainee to graduate in exchange for some good tipes on how to improve my social skills. I'm a Sophisticated individual driven by passion an the love of Speaking. Looking forward to learn and to experience new challenges. I am Penelope, I am looking for a Life Coach based in Johannesburg. Looking for some guidance to set and achieve personal goals as well as family and business goals. Trainee: Richard Luyt, Windhoek, Namibia. I need direction getting my counselling practice up and running after a long absence due to health challenges. I am looking for life coach trainer. But first wann to go as client level requirements. I'm in need of life coaching, and not living my life according to my own way,and entrepreneual journey. I am 37 years old and would like to get some guidance on my life, career, and my relationship. 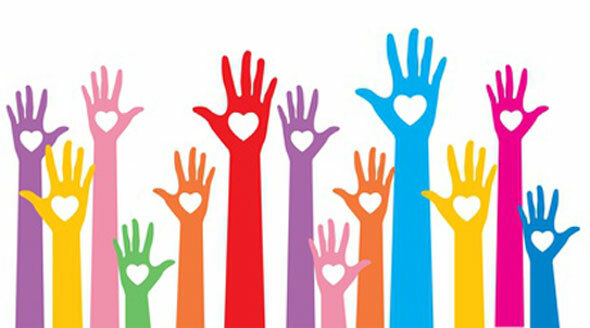 Good day I would like to be a volunteer as i also want to venture into coaching and would like to have first-hand experience of how to go about it. Would like to volunteer to assist the trainees whilst also assisting me with some career direction. Client: Lebo Ndwandwe, East London, Eastern Cape. I'd like professional guidance on how to direct my life in the most positive and self-fulfilling way. General Life coaching with focus on stress and time management, relationship help, etc. Goal setting, direction in life, conflict and anger management, social skills,dealing with past hurt and resentment. I have just completed an Executive coaching course and would like to volunteer for free coaching sessions to assist those in training . Wanting to see what value there is in engaging with a Life Coach. And am willing to assist your trainee's. Looking for someone to walk with me as I start my own coaching business. Client: Tariro Tagar, Rooderport, Gauteng. I have soo many ideas on what I want to do with my life as well as be of service to others. However, I struggle with getting myself to take action. I would like to volunteer for any trainees that are anywhere between Sandton and Joburg City. I need a life coach because I want to discover my true purpose in life. To understand what is coaching all about. Client: Dillon Joseph, Johannesburg, Gauteng. I am going through mid career crisis. I don't know how to change my life and my life style. I need help changing the same. Hi there. I would love some advice and insights regarding my next career move and self esteem after I was recently retrenched. How to find my feet in life and getting over a loss of a child. Hi I am a business and struggling with balance for personal and professional help.Looking for volunteer advice on the way forward. Hi. I am Siphiwe and I am in need of a career coach. Hi, I am Andiswa, I was initially searching for a Life coach to help me with career choices, goals, personal growth and to find my true purpose etc. Client: Salome Willis, Northcliff, Gauteng. Hi, I am interested to see how Life coaching works. I am a founder of a non profit organization and I want to help the youth achieve their goals. Hi, Im interested in being a coach myself and would like to see if its the right thing for me and try out your way of coaching. Hi, I am interested in becoming the Life Couching. Many people dont have direction in their lives.please I need training.